It was recently brought to my attention an interesting urban legend that wearing ear plugs can cause a 700 fold increase in germs in the ear canal. Curious about how this statement came to life, I scoured the internet and discovered the following info that may have relevance for people who regularly use earbud devices that require insertion into the ear canal whether it be ear plugs, headphones, hearing aids, stethoscopes, etc. In 1992, US Naval researchers published a study that discovered that wearing for one hour a headset device (similar to ones distributed on airplanes for passengers) increases the bacterial counts on the ear buds from a baseline 60 organisms before use to 650 organisms... a 10.8 fold increase. The germs that were isolated included Staphylococcus spp, Streptococcus spp, Propionibacterium spp, and Peptostreptococcus spp. One year later, the New York Times published a "Practical Traveler" story that stated that this 1992 research "showed a 100- to 700-fold increase in bacteria." And thus, an urban legend was born from an arithmetic error based on actual research. Even when taking the raw data from the original research with a baseline bacterial count range of 20-110 and after use count range of 120-1530, the maximum increase (taking the lowest and highest numbers) would still end up at most being 76.5 fold increase... not anywhere close to 100 fold increase let alone 700 fold increase. That said... even a 10.8 fold increase in bacterial counts from wearing earbuds for just one hour seems alarming. However, for the vast majority of individuals, this bacterial count increase has no clinical significance. After all, bacterial counts would increase no matter what the situation as long as there is gentle heat, humidity, and a surface present whether it be wearing gloves, wearing underwear, or using a toothbrush. HOWEVER, if there are sores, abrasions, or active infection present in the ear canals or the individual suffers from some form of immunocompromise, care should be taken to clean the earbuds regularly and carefully (or avoid using it at all until issues resolve). If sores and abrasions are present, it would allow germs to enter the skin of the ear canal triggering an infection known as otitis externa, otherwise known more commonly as Swimmer's Ear. 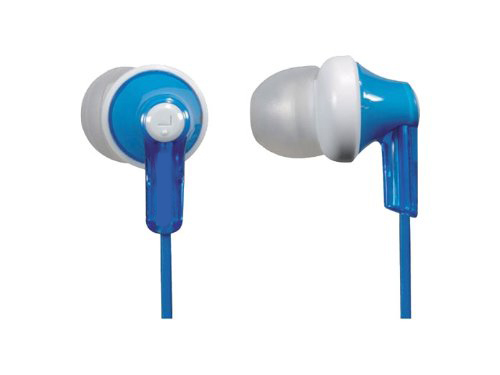 For such affected individuals or for those who are healthy but germ-a-phobes, it may behoove to regularly clean the earbuds by wiping the surface with rubbing alcohol as well as drying the surface out completely by placing the buds in a drying box overnight or whenever not in use. The best drying boxes are those made for hearing aids, but also work for any type of earbuds. Ear Infection and Hearing Loss Amongst Headphone Users. Malays J Med Sci. 2002 Jul; 9(2): 17–22.